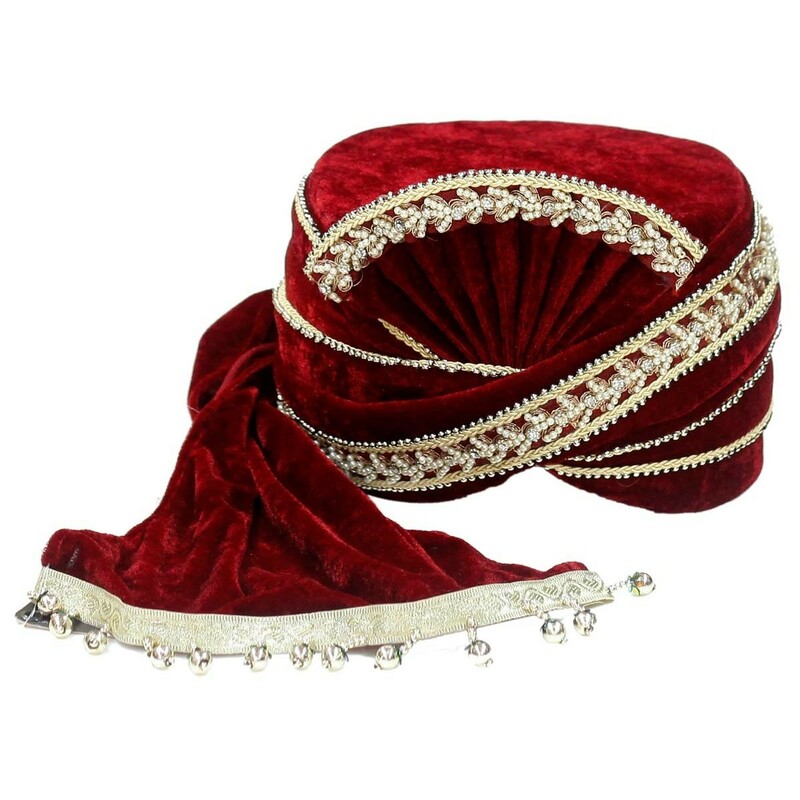 hining velvet fabric designer safa is perfect to wear with a wedding sherwani. Top embroiding pattern and shinning stone make it awe-inspiring magnificence. The white beads on its end make it more elegant. 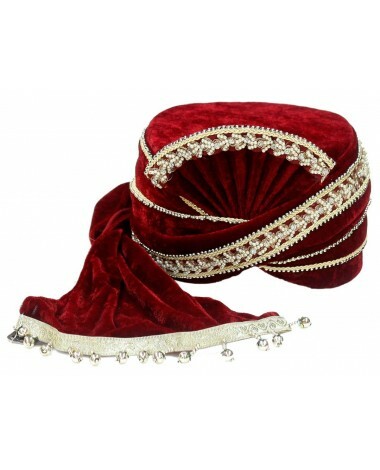 Shining velvet fabric designer safa is perfect to wear with a wedding sherwani. 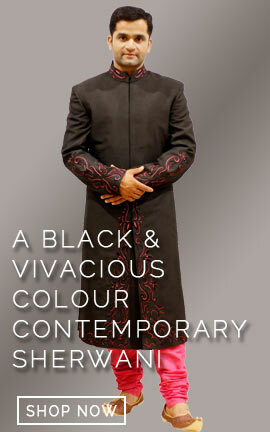 Top embroiding pattern and shinning stone make it awe-inspiring magnificence. The white beads on its end make it more elegant.